At Leightons, our eye experts can help you get to grips with comfortable contact lenses, whether it’s every day or just now and again. We’ll show you how to fit them, and how to look after your eyes, day in and day out. And if your eyes change over time, we’ll make sure they’re examined regularly, so you’re always wearing the right lenses for you. Contact lenses are a great alternative to wearing glasses. Whether you have a vision problem or just want to make a fashion statement, contact lenses can really alter your style. At Leightons, we cater to all your eye wear requirements and you can buy contact lenses from the wide selection at any of our stores. If you prefer not to wear glasses or your lifestyle is not suited to wearing glasses on a daily basis, contact lenses are your best bet. With advances in technology, today’s contact lenses offer more comfort and convenience than ever before. You can choose to use daily disposable lenses, which take away the added hassle of using cleaning solutions. Alternatively, reusable contact lenses are perfect for a frequent lens wearer and are especially helpful if you have complex vision issues. You will find a wide selection of different types of contact lenses including toric and multifocal lenses, which boast cutting edge technology, at your local Leightons branch. For the fashion-conscious, we have an array of coloured contact lenses that will make your style statement loud and clear! Wearing contact lenses for the first time can be quite daunting. 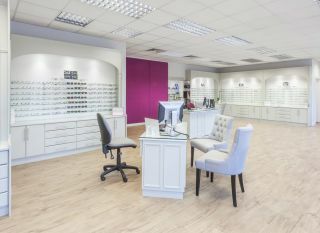 Our friendly opticians will put you at ease by explaining all the product features in detail and answering any doubts you may have. Before you buy contact lenses you can opt for a free trial to find out what complements your lifestyle best and also experience how comfortable it can be. Technological advances in contact lenses mean that lenses can be used to correct many vision-related problems as soon as they are identified. So if your child or teenager has any eyesight problems, bring them down to your local Leightons store and our opticians will recommend the correct contact lenses for them. Once you have decided which lenses to buy, we will help you with the correct eye care practices for using your contact lenses optimally. Our MyLeightons Care Plan offers you great value, continued service as well as free professional eye care. Aftercare consultations with our practitioners will maintain your eye health and enhance your comfort as you continue to use contact lenses. 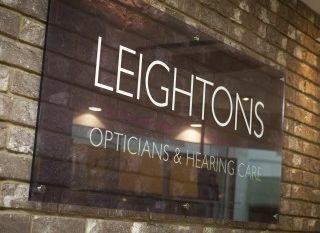 At Leightons you can find a complete range of contact lenses to suit your requirements. You may also want to book an eye test to make sure that your ocular health is top-notch and check if your prescription has changed. You can book an appointment online or call us on 0800 40 20 20.